Given the current challenges in Zimbabwe, we decided this is a perfect time to reprint the speech which Farayi Mangwende gave as Guest of Honor at the ZCC Graduation in July this year. The house is burning – are you running from the fire or going to fetch water to help put it out? “As we go into the order of the day, allow me to begin with a passage from a book I read a few years ago entitled “We Need New Names” by NoViolet Bulawayo which inspired my address today. This passage encapsulates the journey you have made to date. You have been afforded an opportunity to study at some of the best universities in the United States, fully funded, because you stood head and shoulders above your peers in your conduct and your academic achievements. You are living testimonies that your circumstances and backgrounds do not define you, but instead, the choice you made to work hard and the grace of God has found you where you are today studying with hundreds of other students from throughout the world. In this instance we can use the house to represent Zimbabwe. The opportunity you have been given of going to University to again an education can be likened to taking a walk and going to the well to find water to put out the fire. Should you decide not to return to use your newly found skills (water) to put out the fire and rebuild Zimbabwe it is akin to expecting the fire to put itself out. Education Matters, through Zimbabwe Career Connect, realized that going to the well was not enough, that you needed to actually collect and use the water to start your journey of putting out the fire. 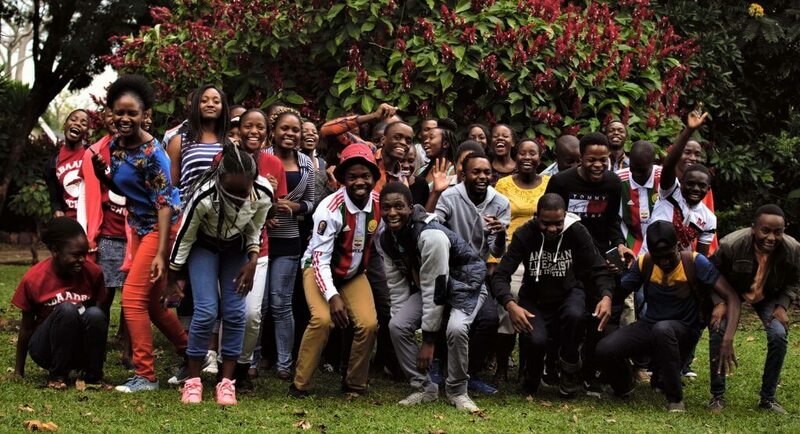 They have achieved this by availing you an amazing, practical opportunity through these internships which have given you the chance to experience and see what Zimbabwe needs in terms of skills, innovation and ideas to rejuvenate it and take it to the next level, thereby enabling you, to try your hand at putting out the fire. These internships represent your first time returning from the well and your first attempt at putting out the fire. I am confident that you have used this time wisely to analyse our nation’s needs, create networks, and redefine how you are are going to go back to the final stretch of the journey to the well and collect as much water in the form of increased effort and exceptional grades and experiences; and are going to bring the water back home to quench the fire for your own benefit, for your families and indeed for Zimbabwe after you graduate. I make this impassioned plea because I returned home after university in England with water to put out the fire in my own way. I have forged ways to make an impact on both a corporate and social level through initiatives which have improved communities based on experiences and opportunities presented to me during my studies and the networks I made. Interns, as you can see it’s possible to come home and make a difference. As I close, I charge you to remember that which gave you the impetus to work hard and stand out in the crowd, your passion to do better for yourself and for the next generation. I remind you that as you adapt in your adopted homes where you have spent the last three years to remember that you are not defined by your past and that you have a responsibility to change Zimbabwe. Your future is determined by the effort you put, and Education Matters has worked with you and with the Universities in America to make you fearless and create better versions of yourselves to ensure that you will be fully equipped to bring water from the well and put out the fire! Farayi Mangwende is the Group Marketing and Strategy Executive at First Mutual Holdings Limited. She was our Guest of Honor at the ZCC Internship Graduation in July 2018. Well said. If we don’t encourage each other to rejuvenate and revive our economy, who will? Previous Previous post: Zimbabwe Career Connect 2019 Application is Open!